This week, Chris explores some of the cutting edge research taking place in Aberdeen. We meet a scientist making new cannabis-like chemicals that lack the side effects of the real thing, talk to a man exploring the deepest part of the Pacific - 7 miles down - to find out what's living there. Plus, thalidomide - 50 years on. Scientists now know why it had the damaging effects it did on unborn babies, but can they make a safe form of the agent so it can be used to treat cancers, leprosy and HIV? Ruth - Cannabis has lots of potentially useful medicinal properties, but it also has potential side effects. We're trying to crack the issue with making new compounds, new drugs that act in novel innovative ways, such that we can produce effective medicines that lack side effects. Chris - So get the good bits, lose the bad bits? Ruth - Exactly, so most people know that cannabis is potentially effective in things like multiple sclerosis and pain, but it also has a potential side effect of inducing psychosis when people misuse cannabis and take certain types of cannabis that are available on the street. So there are a number of issues that we're looking into. First, we're looking at making synthetic small molecule drugs which can actually target the effects of cannabis and the receptors and mechanisms which make it useful, but don't affect the receptors and mechanisms in the brain that will have side effects. The other thing we're looking at is understanding the pharmacology of cannabis itself and understanding more about the physiology of certain people who react badly to cannabis, particularly teenagers. Chris - What actually is cannabis? When we say cannabis, what are the chemicals that are having those effects? Ruth - Okay, so cannabis contains about 60 different chemicals called 'cannabinoids'. Until relatively recently we thought that one particular cannabinoid called THC was the active component. THC produces pain relief, it produces the "munchies" [increased appetite], and it produces potential psychosis and mental illness in certain groups of people. But the exciting new thing that we're looking into now is the fact that cannabis contains a number of what were previous thought to be inert compounds which, in fact, do have a whole pharmacology of their own. And that pharmacology seems to include a number of the beneficial effects, but lack the psycho-acive side effects. So for example, cannabidiol (CBD) seems to have interesting anti-psychotic effects, anti-cancer effects, and doesn't cause the high, and doesn't cause some of the detrimental side effects. 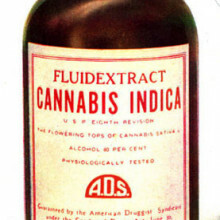 So interestingly, potentially, CBD could be a medicine alone, or it could be used as an effective combination with THC. Chris - ...To offset some of the bad effects. Is it just present in much lower amounts, so you see a dominant effect of the THC, the bad effects? So if you put more of that in the mixture, you would negate some of those negative effects whilst still having the positive effects of the THC? Ruth - Partly that. There's certainly a lot of good scientific evidence that THC produces fewer detrimental effects in the presence of CBD, and in fact interestingly, the cannabis that's available on the street now contains little or no CBD, so skunk cannabis is virtually free of CBD, and has high THC, and seems to be causing a lot more side effects. However, there's another angle to this which is that CBD has beneficial effects and pharmacological effects on its own. So in addition to alleviating some of the side effects, it produces a whole raft of novel pharmacology in its own right. Chris - If this substance can have anti-psychotic effects, does that mean you could try using it in people who have psychosis, on its own, as a new form of anti-psychotic treatment? Ruth - Potentially, yes. We're at the very early stages of understanding the pharmacology, so for example, one of the areas I'm working on is a new receptor. Drug pharmacology is based around the fact that drugs interact with receptors and these, often in the case of the brain, control neurotransmitter release and signalling. We're working on a completely new receptor for CBD and we're at the very early stages of understanding what that does in the brain. We will then start to understand potentially how we could manipulate that for therapeutic use. Ruth - Yes. I'm glad you brought that up. There's the cannabinoid CB1 receptor which is located in the hypothalamus, which contains appetite centres, and that was the way in which it [Rimonabant] was reducing appetite. But of course, it also hits CB1 receptors all over the brain and affected mood and so on. However, interestingly, what we've discovered is that there were also cannabinoid receptors in - for example, the liver and fat cells, adipocytes and so on, which have what we would call 'peripheral effects' on metabolism. So, what we are looking at as a new innovative treatment is making molecules similar to Rimonabant, blocking the CB1 receptor, but they don't cross the blood-brain barrier, so don't get into the brain. So what we're hoping for these new therapies is they will reduce a lot of the type 2 diabetes symptoms that are associated with obesity, but they won't have the problems of blocking the CB1 receptor and the cannabinoid system in the brain which is associated with side effects affecting mood and suicidal thoughts, and so on in certain groups of people. Chris - Are you far away? Ruth - We've got some nice compounds that look promising, so that's the starting point for a pharmacologist. You work with chemists, you make nice small molecules. They seem to have nice properties in that they look like they could be useful as oral neural-therapeutics, but then that's where the fun starts, with all the clinical trials, raising money to do those studies, and so on. It depends on how you define 'close,' if we're close or not! Marcel - My name is Marcel Jaspers. I'm Professor of Chemistry at Aberdeen University. I run a lab called "The Marine Biodiscovery Centre." The main work that we focus on is the discovery of new molecules that might have pharmaceutical applications from marine organisms such as sponges, soft coral, sea squirts, and also now bacteria and fungi. Chris - Why those species? Marcel - Initially, the invertebrates; the sponges, soft corals, and sea squirts are interesting because they have obvious other means of defence. So we're looking at them because they have a chemical defence system which acts as an alternative immune system perhaps, and these compounds tend to be very, very active. Not only are they active in many assays, many biological tests, they are also are much different from the chemical compounds that we found from terrestrial species. Chris - And how do they affect an organism, the prey species or the thing that might be attacking them they're trying fend off? How do they work physiologically? Marcel - So, there are some very sophisticated ones in terms of mechanism. So, a classic one is where it might have something to do with the inhibition of actin polymerisation so it basically stops the cell being able to divide. That's a classic mechanism that's employed. In order for compounds not to be toxic to the organism itself, they've got modified actin; in say, sponges, you might find that. And also, in other organisms what you have is that only the compound has a protective cap on it so that when the cell is broken open, enzymes are released and the compound is broken into two into the active part and the inactive part. So this is a very elegant way of making sure it doesn't kill itself. Chris - And so, we're trying to delve into nature's medicine chest by looking at how these species do it and asking, "Can we copy this?" Marcel - Exactly. So first of all, we try and get the compound as an idea of what nature makes and what it's good for, and at this stage, we're trying to work on copying or taking the genes from those organisms and putting them into a more easy to grow organism. We've been successful once so far and we're trying to make this up to a level where it's actually viable to use. At the beginning the yields are so low that you get 1 milligram for every 10 litres of culture. What you really need is something that gives grams per litre. So it's a big step to go from the small scale to the big scale. Chris - You mentioned you're looking at micro-organisms as well. These are what, seabed microbes? 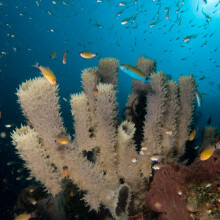 Marcel - Mostly seabed microbes, but also those that grow inside the sponges and soft corals. First of all, we started with that because the sponge itself is like a giant microbial factory. Maybe up to 40% of the sponge is bacterial biomass or fungal biomass, and it's almost like the sponge farms the bacteria for a certain reason, to protect itself probably. Some might be farmed for food. In cases of sea squirts eating their own bacteria, that's a known phenomenon, but in terms of the sponges, they produce so much interesting chemistry, and there are certain bacteria that are always associated with sponges. Even 1 or 2 miles apart, you might find 2 sponges with roughly the same bacteria, producing different chemistry, and we still don't know why that is. Chris - So how do you go from "I've got a sponge here, there are some bacteria inside it with presumably some interesting chemistry going on." ...to... "here's a compound that could have promise in medicine?" Marcel - So first of all, you need to know what your best bets are. In natural products, the things that we look at mainly are cancer, inflammation, infectious diseases, and parasitic diseases. That's where they've been proven to work the best. Most of the drugs that are coming forwards through the pipeline are for cancer. There are painkillers on the market from sea snails that have been developed. So, we're really thinking about how to get from seabed to bedside - as people sometimes say. And the answer is that there is a lot of effort needed to go from the small scale, the 'milligram' quantities we can isolate, to the kilogram scales that are needed for clinical trials. Chris - But looking at some of these molecules, they are horrendously complicated and if you ask a chemist to make them, it will take 30 steps. There's a loss with every step, so they end up with tiny amounts. Is the answer then to say, "rather than trying to make this in a test tube, we just get the organism to make it for us?" Marcel - Yes, so that's the reason for looking at bacteria. You can just culture them and you can really grow the bacteria up to a level where you can produce tens of milligrams per litre which is viable. The two drugs that are produced right now for cancer, that are sponge-derived, one is a sea squirt-derived one called ecteinascidin 743 or trabectedin. It's a Spanish company called 'PharmaMar' who developed it. they decided to do at a hybrid process so the bacteria produces a certain compound they can modify chemically again, in 30 steps or something like that, and it's economically viable because the patient only needs 1.5 milligram of treatment. To put that into context, I always say to people, imagine 5 or 6 grains of sugar on your hand. That's an entire treatment for cancer. In other cases, another compound has been - I think it's a 60-step synthesis, and again, they can make gram quantities, but that's at the limit of what's feasible. So the next step is really to think about using nature's own methods of hijacking those to make the compounds that you want. Chris - Is it easy to get a species which would be a deep sea dweller and just culture it? It's one thing to take some E. coli, put some genes into it, and say, "Make me insulin!" and do it in a massive great fermenter at a Guinness factory. It's a very different matter to take something which has physiology adapted to survival at the bottom of the ocean. Marcel - There are different types of species. A normal species from a terrestrial environment, if you put it under pressure, it would die at about 3 or 4,000 metres deep. There's other species that can survive down to much deeper - 6, 7, 8,000 metres seems to be the limit again, they are pressure tolerant species. But the species that we're really interested in are those that only survive at high pressures, and they basically increase in cell mass as you culture them at higher pressures. The problem with those is that you can't collect them easily. If you collect them, you have to collect them under pressure, bring them to the surface under pressure, and then isolate the bacteria under pressure, and it's very, very hard to do that. So, what people tend to do is have 1 or 2 "work horse" species that you can work with and then isolate the genes that are of interest and try to clone them into an organism that you can deal with. It's far too hard to do the culturing under pressure. Chris - Have you got some compounds that you're working on now? Marcel - We've got some interesting compounds that came from the Mariana Trench, which is the deepest place on Earth. 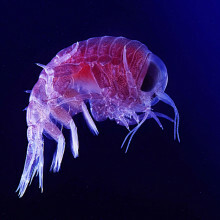 There's an interesting bacterium called Dermacoccus abyssi, indicating that it's deep, but also unusual because you would normally expect to find a Dermacoccus in the skin. It is chemically unique. It produces a series of compounds, the closest relatives of which you'll find in roots of plants. But these compounds are active against trypanosomes, the parasites responsible for African sleeping sickness. That activity is interesting enough, so we're now trying to embark on a synthetic program to make enough of these materials. We have synthesis on the table, we now need to try to develop them to the next level, to get them out there, and to get people to try them. 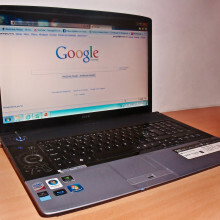 21:33 - Shopping Online - Are Reviews Trustworthy? Chris B. - What I'm working on at the moment is how we can apply the concept of trust in modern e-commerce settings. So a lot of systems, a lot of interactions, these days take place online. More people are buying things online, people are booking hotels online, they're finding partners online, and the concept of trust becomes more important because we might never meet these people we're buying things from. How do we know anything about them? How do we know if we can trust them? Chris - Well obviously, a lot of people do because they're spending a lot of money and a lot of time on the internet. Chris B. - That's true. So really, because more people are spending time on the internet, there is a large resource of people who already have experiences. They're writing reviews, they're giving recommendations, and one of the big questions in my field that I'm interested in is how can we tap into those large quantities of reviews or ratings, and help people discover services that are right for them? Chris - And that are reliable. Chris B. - That's right, yes. Chris - So how are you doing that? Chris B. - At the moment, we're using statistical methods, but really the problem is, in a large base of experiences, we need a lot of people to write reviews and give their opinions. If you don't have that, it becomes very difficult. In new systems, if a new website starts up and lots of people begin to use it, at the beginning there might not be a lot of ratings or previous opinions. In those kind of experiences we're really looking at semantic web technologies, letting people describe their experiences in a very rich way and write reviews that a computer can understand. Chris B. - Yes, exactly. That's one part of it, helping people to do it, but the other thing is we need to develop languages that computers understand for people to describe their experiences. We need to, as you said, give people an easy way to describe them in a computer readable format. Then there's the other layer of technologies which we need to help people manage these large numbers of experiences, because we don't want to have to read thousands of reviews to understand how good a product is. I want to see a rating saying, "This is good for you because I, the system, know something about you, the user, and I can say that this is the right product for you." Chris B. - That's an excellent question. One of the techniques is semantic matchmaking. So we know something about what makes a good product in your opinion. As a system, I know what constitutes a good product for you. I can then look at the large number of ratings that already exist and try to maybe filter out ones that wouldn't apply to you, maybe if people have different criteria than you, I can say those reviews are not appropriate for you and so therefore, that's one technique: to limit the number of reviews that people are exposed to. Chris - So it comes down really to writing some clever computer software that can extract the right information from what's already there. Chris B. - Yes, in one way, but there are other sources of information. Now we have social networks, people have connections, people are using Facebook to say that they like this product and their friends might hold their opinions in higher regard, so another question is how can we use social information to add weight to certain reviews and opinions, and reduce the weight to others. Chris - Because what works for me might not be appropriate for you. Chris B. - That's exactly right. That's the filtering question. There is still the problem that you mention of how do we actually compute, or how we'd arrive a decision and say, "This is the one you should go for. This is the one you can trust. This person is deceptive. This person is lying." Those are questions that I don't think we have an answer to yet, but really need to solve them because more things are happening online and I think it's only going to become more important in the future. Neil - We're particularly interested right now in thalidomide and how thalidomide, a drug given to pregnant ladies in the '50s and '60s to treat morning sickness, caused birth defects. Our group has identified one of the mechanisms by which it does. The drug is affecting blood vessels in the early embryo and prevents them from forming. This causes the loss of the tissue, so the limb doesn't form. Now, we're trying to identify what is the actual molecular target in the embryo that this drug is working on. We're also trying to make forms of the drug that don't cause birth defects but can still be used to treat patients. At the moment it's used around the world to treat leprosy, multiple myeloma and it's in trial for HIV, and cancers. So it's a quite useful drug but it has this dark side to it as well. Chris - If it affects blood vessels, why just the limbs? Neil - It's a good question and that's a question we struggle to answer as well. It turns out that the limb are one of the last major tissues in the body to form. And at the time that morning sickness affects ladies, that's when the limb is forming the most. It's the most rapidly growing tissue. So the other organs can be affected and they are affected, but the limb is the most affected because it's being formed at the time when the drug would be taken by the ladies. It turns out that the blood vessels in the limb are quite unique in that they are very immature and susceptible to being broken down. This means the drug is affecting them and that's why the limb is always targeted. We're trying to find out what is the gene that's being affected in those cells. Why is it being affected? How is it affected? And can we stop it from being affected in the future? Chris - The other conditions you mentioned - leprosy, HIV, multiple myeloma - Is it a similar mechanism at play there or is the drug working in a distinct way to treat those conditions then? Neil - Thalidomide is a unique drug. It has many different actions. It has actions on blood vessels, it has actions on your inflammatory system, it has actions on the immune system. So the actions on leprosy is affecting the inflammatory system and that will be different to the effect on blood vessels. We don't know what the targets in the inflammatory system are specifically, but we do know that if you affect blood vessels in an embryo, you're going to get some sort of birth defect. We're trying to make a form of the drug that can't do that but can be used to still treat leprosy. Whether we can then make a form of the drug that you can use for cancer which doesn't cause these things, we don't know yet, but that's the essence of what we're trying to do. Chris - It sounds trivial. We're trying a version of the drug that just won't do that, but how do you actually approach that? If it was trivial, people would have done it, so it's obviously quite a big problem? Neil - Yeah. Well, it's taken 60 years to find out how the drug worked. We have to make new forms of the drug so the drug is quite complex. What you do pharmacologically is make new versions and then you test each version and you find one that does what you want it to do. However because we know that the drug is causing a defect affecting blood vessels, we already know we can eradicate those from our screens and just try the other forms. Hopefully one or several of these will give us versions that you can use. Chris - Where have you got to? Neil - We're at the stage where we're screening various compounds right now. So, I would hope that we'd have some candidates soon. Now I've said that, I've just probably just jinxed myself for the next 5 years, but hopefully soon. Chris - Obviously, you can't do this in humans. So how are you measuring the outcomes or the impacts of the drug on development? Neil - So we use a range of systems. We use embryos. So we use chicken and fish embryos, we also use mouse cultures, and we use human cell lines. These give us all information we require to test the drug. If we do get compounds that we believe could be used in humans then there would be clinical trials and the whole process will have to occur to make sure it's safe in humans and that sort of thing. However we'd never advocate that these drugs should be ever be taken again during pregnancy. No drugs should be taken during pregnancy. The idea is that if there are people in Africa and South America right now that have leprosy, and they take the drug by mistake when they are pregnant, the chance of having a child with a birth defect are - we hope - lessened. Chris - This is a really tough one, isn't it? Once bitten, twice shy, and if you come back with a version of thalidomide that is very effective but still carries risk, even though it may be a very tiny one, we just can't afford to make that mistake can we? Neil - No, not at all and I think that the fact we've got kids being born around the world today with those problems highlights the issue. We have to address this and if we're going to still use thalidomide for its clinical reasons, make sure it's as safe as it possibly can be. So yes, it's a tough question but the drug clinically is very effective for leprosy and multiple myeloma. The evidence is that for multiple myeloma, it prolongs life by 18 months. No other drug I'm aware of can do quite that job so there are pros and cons. At the moment, we're going down the road of, well if the drug is being used, let's try and make it as safe as possible. Chris - And the other benefit of course is that they say nature reveals her workings through her mistakes. We presumably have learned an enormous amount about how normal processes work when it goes wrong when thalidomide is present. Neil - Thalidomide, when the disaster occurred between 1958 and 1962, changed the way we did everything about drugs. For example we didn't realise there were differences between how the drugs acted on different animal models. We didn't know how to really test drugs properly and that opened up the whole field of toxicology. Since then yes, we know so much more about drugs. How they act, why they act and which cell types they affect as well as some of the signalling pathways. So, it kind of changed the world. It's a horrible thing to have happened but it did change the world. Martin: - At the moment, we're trying to solve the problem of what causes clubfoot. It's a very common human condition and currently about 1 in 500 babies are being born in the UK with clubfoot. We've very little idea about what's causing it. There's a mixture of causes, probably some genetic, some environmental. 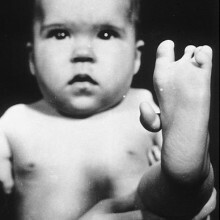 We're primarily looking at the genetic side of clubfoot, what predisposes people to be born with this condition. The way we've been doing it is by looking at a strain of mouse that's been born with clubfoot for no apparent reason, but it's clearly a genetic condition that the mice are carrying which gives them clubfoot. So we've been trying to look for the gene that causes clubfoot in these mice. Chris: - When you look at a person who has a clubfoot, what actually is wrong with them anatomically and what's wrong with these mice? Martin: - Well, what's wrong with people with clubfoot anatomically, you'd think it's a bone problem but most of the evidence is that really it's not. It's more a muscular problem and it's the weakness of the lower leg muscles caused by - we don't know - anything. Either a muscle atrophy, some sort of muscular disease, or where we're coming from the moment, a neuromuscular disease. There's actually problems with the nerves and in particular, the branch of sciatic nerve that goes down the outer side of the leg, the peroneal nerve, appears to be defective. It's certainly a problem in our mice model that they don't have their peroneal nerve. Chris: - Is it that the muscle is defective and that makes the nerve defective or the other way around? Martin: - Well this is an interesting question. Clearly, from what we were seeing, the nerve is defective and because the nerve isn't firing, the muscle doesn't develop properly. I don't think that is necessarily the case in all human clubfoot cases. I think whatever you do to weaken those muscles can cause a clubfoot, so it can be a nervous effect or it can be a muscle effect. Chris: - Is it on both sides of the body usually, or do they usually just have one limb affected and one normal? Martin: - About half cases are bilateral - in both legs and in the other half, just one foot will be affected. Slightly more common in males than females as well. Chris: - So not usual because if it's genetic, would you not expect it to be both legs? Martin: - This is one of the problems that we don't understand. We can't conceptually think of one gene that's going to affect one foot but not the other. We don't know of any changes in how genes are used between different legs. Chris: - So how are you trying to grapple with this problem? We've got this mouse that develops something similar, how are you taking that forward? Martin: - Well, we're tracking the gene defect that's causing this problem in these mice. Then what we're going to do is have a collaborative effort with some clinicians, also at the University of Aberdeen, who've been collecting DNA from clubfoot patients for many years - they've got a huge bank of DNA samples - so the idea is that once we have the mouse gene, we'll go on and sequence all these human samples as well for mutations in the same gene. Chris: - How did you find the genes that might be involved? Martin: - By breeding mice that have the problem with mice that don't have the problem and then looking at all their babies and seeing which ones still have the problem. We then check for bits of DNA from this mix of DNA that the mice with the problem are carrying. So we just do lots and lots of genetic screening for different bits of all the chromosomes, all the DNA of the mice, and find which single little bit of DNA is carried with the genetic problem with this clubfoot every time. Chris: - And what does this gene do? Martin: - It appears to be controlling the nerves so we're getting a gene that's responsible for targeting the nerves to the right muscles and the outer side of the lower limbs in the legs. Whether it's allowing those nerves to survive or whether it's telling it to go to the right place, whether it's targeting them correctly, that's the mechanism we're looking for. Chris: - It's interesting it's just the leg then, isn't it? Martin: - Yes and in human populations, it's extremely rare to find a club-hand. There's one family in a forest in Northeast Scotland somewhere that has club-hands, but I mean, otherwise unless it's a degenerative arthritis type condition, there's nothing similar to clubfoot in newborn people in the hand. Chris: - So if you can work out how this gene is achieving this function, does that also mean there are potentially some spinoffs. How you can restore nerve or muscle interactions, how you can strengthen muscles, or regenerate nerves, and so on? Martin: - Clearly, there is yes. Potentially, we may be able to repair the gene or give some sort of prenatal therapy. The spinoffs are more likely to be in some other clinical areas because clubfoot is treatable and babies born with clubfoot can be casted. Most people recover and have a fairly normal life. It's about 20% of cases where after the casting and manipulation, the foot just bounces back and these people need more complicated surgery. We'd like to be able to identify those 20% of people and what it looks like is for people to have this nervous type of clubfoot that are suffering their relapses. So finding the gene, we may be able to identify those people. And also the gene that's causing the clubfoot in the mice. It may or may not be responsible for more conditions in people. There's a whole bunch of sensory, motor, neuropathies, degenerative disease in people that affects the lower legs that could be affected by this gene. Peter - Well, that's why we're interested because there's so little known about how vitamin A and retinoic acid actually function in the brain. There's a huge amount of work done on the developing brain, so it's relatively well understood how these compounds actually control the patterning of gene expression in the embryonic brain. But it's now beginning to be understood to a greater extent that retinoic acid has important function in the adult brain. A link with this story is the side effects of a drug called isotretinoin which is a very effective drug used for acne. There have been, however, despite its effectiveness, some rather controversial claimed side effects, one is headaches. It literally makes the brain swell. There's something called pseudotumour cerebri, where excess levels of retinoic acid or even the vitamin itself, if you have too many carrots, there are some people who've really obsessively taken vitamin A through large amounts of carrot juice and the brain can literally start to swell and pushes on the back of the eye, and that gives the appearance of a tumour. But the more controversial side effects are things like depression and even suicidal depression. And the controversy comes there because people using isotretinoin are teenagers, who are more likely to have depression or perhaps even suicidal depression. So is it the drug itself that's inducing depression or is it just coincidence that it's this particular age group that's using it? Chris - For that to be the case, it's got to be biochemically plausible. Is there any way in which the brain could respond to the presence of an augmented level of vitamin A or vitamin A-like agent? Peter - Well that's exactly right. Our work and the studies of others have shown that cells, neurons in the brain, can respond to retinoic acid. Chris - Is that because they have a receptor on them, a docking station for the molecule, a bit like, you were saying during embryonic development, cells respond to the presence of the chemical and change the behaviour, adult cells in the nervous system also have receptors that will respond to the presence of the chemical? Peter - That's exactly right. The neurons in the brain express particular receptors that are present in the nucleus and they control the genes that are essential to regulate the cell function. Now there's two areas that we're particularly interested in regarding the brain where we think it has particularly powerful actions. On is the hippocampus and that's an area where it's involved in learning and memory, and has links with depression, and the other region that we've become particularly interested in lately is a region called the hypothalamus, and that controls the hormones of the body. In the hippocampus, we've got very good evidence that it's involved in a process called neurogenesis. It's been recognised really over the last 10, 15 or so years that new neurons are being born in the hippocampus and there's been a lot of excitement in this particular area, for one reason, new neurons can probably help certain types of memory, but also it has been proposed that a decrease in the number of these new neurons can contribute to depression. We've shown that too much retinoic acid, at least in the mouse, can actually suppress the number of new neurons being born. And we've shown that this in fact has a detrimental effect on learning and memory, because that's one of the functions of hippocampus, but we would also propose that it may promote depression because of this inhibition or neurogenesis. In the hypothalamus, this is the region that controls the hormone levels, we've been studying this, again in animal models, and we've been interested in what's called photoperiodicity and that is the changes in the brain and the body that occur between the seasons. We're comparing the effects of the short days that occur in winter with long days that occur in the summer. It's known that there are big changes between those two conditions, and that controls weight gain, energy balance, animals tend to get fatter going into the summer, and leaner into the winter, and the hypothalamus is the brain region that controls that. So we've found that between those two seasons, retinoic acid changes dramatically itself. So there's much more, much more powerful retinoic acid signalling during the periods of summer compared to the short days. So it seems to be an element that regulates the hypothalamus between those two conditions. Chris - So if you take a supplement of vitamin A, what is the implication then for the function of your hypothalamus? How does that impact on physiology? Peter - If you don't overdo those supplements, you should be fine because the body has this great set of mechanisms. 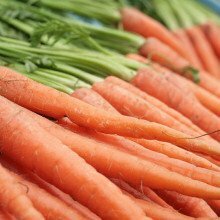 If you get too much of something, it really dampens it down and controls it, but if you really go whole hog and you know, take vitamin A supplements and extra carrots and liver, yes, you can push it too far, and the consequences, at least from our studies in animal models, would suggest there would be a disregulation in the hypothalamus. And this could influence the balance of hormones, in particular the corticosteroids - there's an axis called the hypothalamus pituitary adrenal axis, that controls corticosteroids and that may feedback to the hippocampus, result in a shrinkage and possibly result in depression. Ian - We're used to thinking of DNA as the book of life and the source of all the information that makes us what we are. What we're interested in is how the information encoded in the DNA is translated into proteins. This is interesting because it's the proteins in the cells which really do all the catalytic jobs and the relative amounts of all the different proteins that are made from each of the genes determines how a cell functions and what its properties are. The basic problem is that you can't simply say that if you have one mRNA, it will make 10 copies of protein. Each messenger RNA, which is a copy of the information of the gene, is capable of producing proteins with differing efficiencies. So gene 1 may have a very efficient mRNA which produces a lot of protein, whereas genes 2 and 3 may produce messenger RNAs which are much less efficient at making protein. Chris - And we just don't know why? Ian - We don't know why. There are some theories. One them involves the idea that when the messenger RNA is interpreted, small particles called ribosomes move along that messenger RNA incorporating amino acids and building them up into a long chain which eventually becomes the protein. That process is called translation. The protein is then free to go off and do its job. One theory that we're pursuing is that it's the rate at which those ribosome particles move along the messenger RNA that governs their efficiency of making protein. The problem is that these are like small cars, moving along a road or a track. The cars are the ribosomes and the track is the messenger RNA. These cars can't overtake one another which means that if one of the ribosomes encounters a site on the messenger RNA where it has to pause, then the other ribosomes will queue up behind it and that will form a traffic jam, in a sense a ribosome traffic jam. What we believe may be possible is that ribosome traffic jams may govern the relative efficiencies or inefficiencies of an mRNA and its ability to make protein quickly and fast. Chris - Is this a mistake or is this by intention? Some organisms use the fact that as they're making proteins there's this pause, which then causes the ribosome to slip a bit and change the message it makes. So is this an accident or is it something which the cell does on purpose? Ian - That's an interesting question. what you might assume is that for the most part, these are pauses by intention, on purpose because evolution has been working a long time to optimise the sequence of messenger RNA. So there is an idea that if pauses are happening, they have some functional consequence. One idea which has been around for a little while now is that pausing halfway through the manufacture of a long string of amino acids, which make up the protein, may enable part of that protein to fold more efficiently before the ribosome then continues progression along the mRNA to complete the synthesis of the rest of the protein. Chris - If you look at the ribosome when this pausing is happening, what chemically is making it slow down? Ian - Well the way in which a ribosome works is that it will pause at a particular triplet of bases and wait for something called a transfer RNA (tRNA) to bring in the correct amino acid. Not all of those tRNAs are present in equal abundance. Some are quite rare, so when the ribosome encounters a rare one, it has to pause while it fumbles around and selects the right tRNA. It's as if I gave you a big sack of white billiard balls and black ones. There are only 4 or 5 black ones, and thousands of white ones and I ask you to pull out a black one but you can only do it by reaching into the bag and pulling out a ball at random. It will take quite a long time, on average, to find a black ball because they're so rare. When a ribosome pauses at a rare tRNA, the pause will be longer and that will cause a traffic jam queuing of the ribosomes. Chris - Ian, you've got a mathematician sitting in your office - why? Ian - Well, when we were initiating this project a few years ago, we realised there was a big opportunity here to bring in some interdisciplinary expertise to help us. We wanted to begin to construct mathematical models of how ribosomes move along a messenger RNA and respond to both the slow and quick codons that we've been discussing. And so, we've brought in some colleagues from the Department of Physics here in Aberdeen who had the required expertise to develop those rather complicated mathematical models. We use these models to predict for any given messenger RNA how efficiently it would make protein. Mamen - My name Mamen Romano. 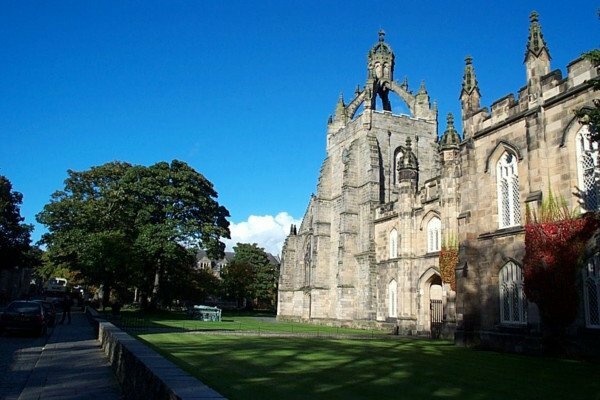 I work at the physics department at the University of Aberdeen. What we are doing is developing a mathematical model in order to predict how fast the ribosomes move along the mRNA. What we do is to construct the biological process in a lattice composed of different sites. Then the ribosomes are represented in our mathematical model as particles that jump from one side of the lattice to the next. This can be described very well by a stochastic process because when one ribosome hops from one side of the lattice to the next, it has to wait for the correct transfer RNA in order to move ahead. Additionally we have an exclusion process because if the next site of the lattice, the next codon of the messenger RNA, is occupied then the ribosome or the particle in our model cannot move ahead. It has to wait and this can produce traffic jams. Chris:: And does this mean you can now predict ahead and you can say to Ian, "On the basis of you wanting to make this particle molecule, we would anticipate the following performance of the ribosome under these circumstances?" Mamen - Exactly, depending on the configuration of the slow codons and how abundant the corresponding tRNAs are, we can predict how fast this protein is going to be made. This can be compared to the experimental data that Ian measures in his lab. Chris - And how is this useful to you, Ian? In what way are you going to apply that data that you then get back? Ian - Well we're interested in asking the question how efficiently does each mRNA in a cell make protein and whether it can therefore be used as a tool to predict how any cell type will interpret its genome to make a particular population of proteins. This is just the beginning of the story though, because although the modelling we're doing in collaboration with Mamen is helping us to predict the amount of protein that is manufactured from an mRNA, the other half of the story is that as a cell grows, proteins are being turned over, degraded, sent to the cellular dustbin at a certain rate as well. The steady state level in the cell is both a function of how quickly the protein is being made and how quickly it's being turned over. What we're doing is we're hoping to generate models which provide one part of that jigsaw and then integrate it with research that other colleagues are doing to look at how proteins are turned over at particular rates in the cell. Alex - Candida albicans costs a lot of money to the UK, and in people's personal lives, because it's the cause of thrush - but it also kills people in a hospital who are undergoing very sophisticated treatments. Clinicians that I meet say that it's a very sad experience for them because they manage to save peoples' lives through very complicated treatments, but then they lose them to this terrible infection. I'm studying the organism because it penetrates into our tissues and it forms big balls and lesions in our kidneys, and our brains and lungs, and then the immune system kicks in and fights it, and the battle between the fungus and the immune system is what kills us. Chris - And how are you trying to understand that process, and then combat it? Alex - Candida albicans grows in two major shapes - rugby ball-shapes (that's how it lives in us as a commensal organism in our gut). If it escapes from our gut and goes into the bloodstream, it gets a signal from the blood itself that triggers a complete change in the shape of the organism. It sends out a long filament known as a hypha, and these long filaments are very sticky and contain extra molecules on the surface which allow them to stick to especially small capillaries, like in our kidneys. Interestingly, they also help to form very drug resistant layers on medical plastics - on catheters and tubes that are put into people in their intensive care units. So, the hyphae of this organism seem to be a very important point for virulence. If they can't form hyphae then they can't invade tissues and then the immune system kicks in and we can clear them from the blood quite easily. So I'm looking at hyphae. Hyphae are very interesting because they always grow in a particular direction, and the direction that they grow in is programmed for the specific organism. So, for example, hyphae that grow in wood in trees know the signals that they need to find the nutrients in the tree. 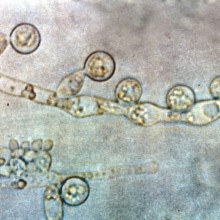 In Candida albicans, the hyphae have the same kinds of responses built in - they know how to penetrate the surface and so they get down out of the blood supply and into the tissue underneath. Chris - Do we know how they do that? Alex - Well, we have great difficulty in studying this organism in humans, so we've developed some in vitro systems here. We do a lot of live cell imaging so we can watch the hyphae as they grow, and we can try to think of ways of making them grow in directions that we want them to grow. We have two main ways of doing this. First of all, we can microfabricate special little surfaces which have got tiny obstacles in them at the nanometre level, and we can make the fungi grow around obstacles and ask whether they want to always grow in the same direction, or whether they want to follow particular shapes. And because we know that they escape into the blood supply, we want to find out whether they are seeing particular cues on the blood vessels and know that that is a point of penetration. We don't know the answer to that yet because we have to design the shapes and the obstacles in vitro and then see, if we can make a mutant that doesn't recognise these shapes, do they then cause disease? The other thing we're doing is looking to see whether electric fields might play a part. Electric fields play a big role in wound healing - they act as signals for the growth of new cells to fill the wound. Chris - That was shown here in the University of Aberdeen, wasn't it? Alex - It was, yes. Min Zhao showed that phenomenon. So we use electric fields because nearly all filamentous fungi grow towards a cathode in an electric field. There are several theories as to why this should be, but no one's really come up with an answer. In fungi, we can delete genes, we can manipulate genes, and overexpress them and change their expression. We've now been able to make a mutant which actually grows in the opposite direction, so instead of growing towards the cathode it now grows towards the anode. Now, we have to find out exactly how it does this. But because you can easily knock genes out and you can easily label proteins in the cell with fluorescent signals, you can turn the electric field on and off, you can make them try to grow around obstacles or make them grow straight. So now, we're beginning to control these things and then hopefully, we can find out the molecules involved. We need to know what the signal is, how it's sensed, and then we need to know how that is then translated into steering the whole of the hyphal tip around to a new growth direction. Chris - So do you know what's making these yeasts grow in the wrong direction yet? Because you can see how you could take that understanding and then just throw drugs at it in order to try and combat this problem in vivo? Alex - We don't really need to know how to make cells grow in the wrong direction for curing disease. What we need to do in curing disease is to take away control of the hyphal tip from the fungus. We've got a mutant that has very curly tips, so it can't grow in a sustained direction, and if it can't do that then it can't puncture human cells. So what it does is it just grows round and round in a more and more aberrant sort of spiral way, and it means that it just sits on the surface and can't actually go anywhere. If we can find a drug that will remove that kind of control from the hyphal tip, then we won't be killing the organism but we'll stop it invading tissue.